Disclaimer: This post and all about oldhammer is going to be posted in english. 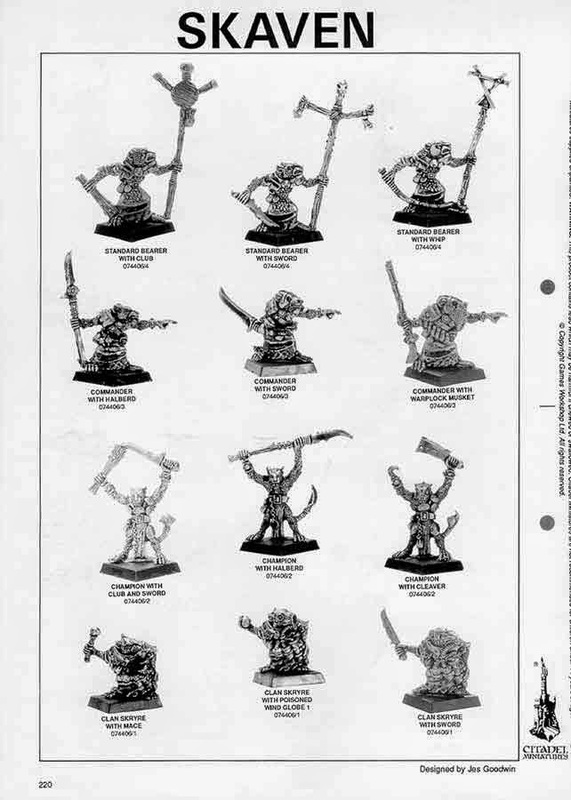 I have always wanted to have a Skaven Army. 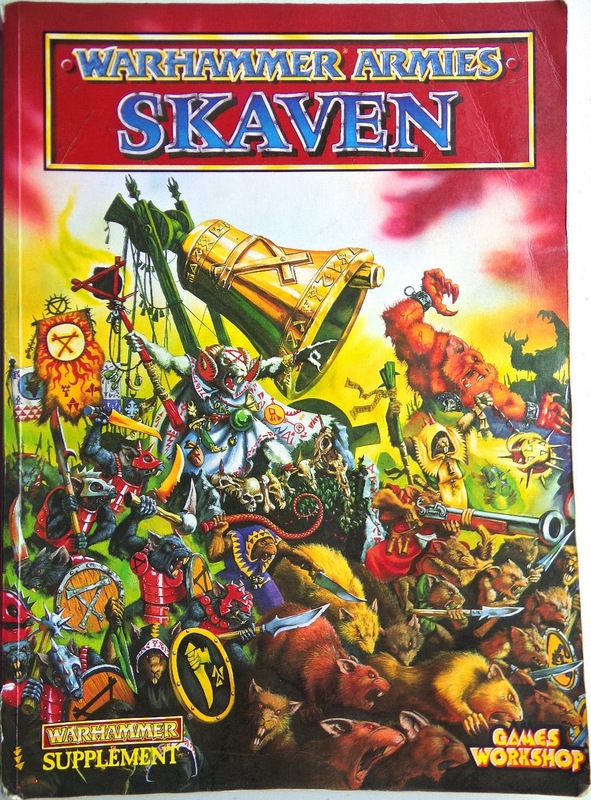 I even read about it as already mentioned in previous posts, in my previous site, roughly in 2000, I was already mentioning that "I have always wanted a Skaven Army", so it is something I kind of owed to myself, at least to my 15 year old self. Although the 4th ed. book was released in 1993 I do not think I read it until late '94 or so. I know I still have a photocopied copy in black & white of this book as it was not until several years later when I bought my own copy. I remember quite clearly how I used to read over and over the famous Andy Chambers article and drool over the images of the Army book. Finally in 2014 I decided to collect a Skaven army based only on the 3th - 4th edition miniatures that are mainly shown in the 4th edition Army Book and in Andy Chambers´ army. The Oldhammer Community on facebook and blogspot helped me a lot into convincing myself. 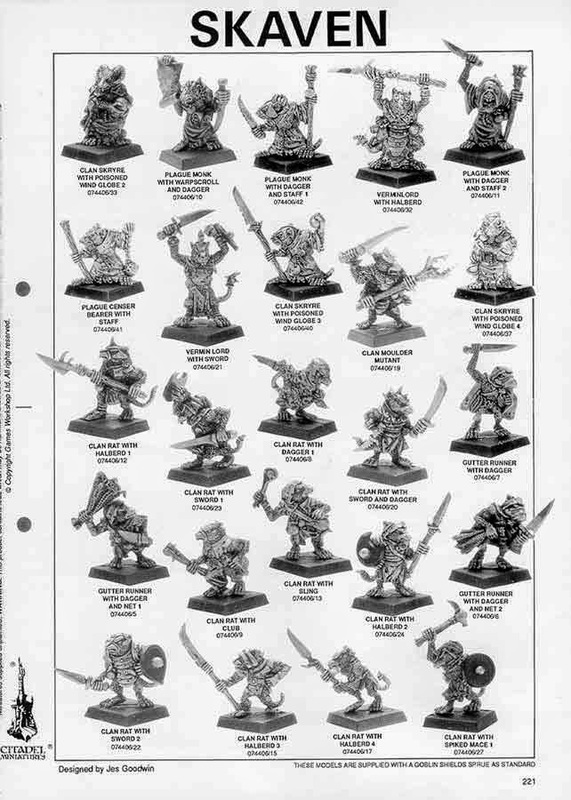 I am already buying and trading miniatures over Oldhammer trading company, ebay and other sources and my main focus are the old ones sculpted by Jes Goodwin. I plan to tell you about my findings here. The goal will be to collect and paint them following the idea behind Andy Chambers article. Using an "army approach" rather than heroic one, which is helpful since I will need to paint 150 miniatures at least. The idea is that the army should look nice as an army, all together, although each miniature individually might not be painted that well. Another key concept is the hand made banners. 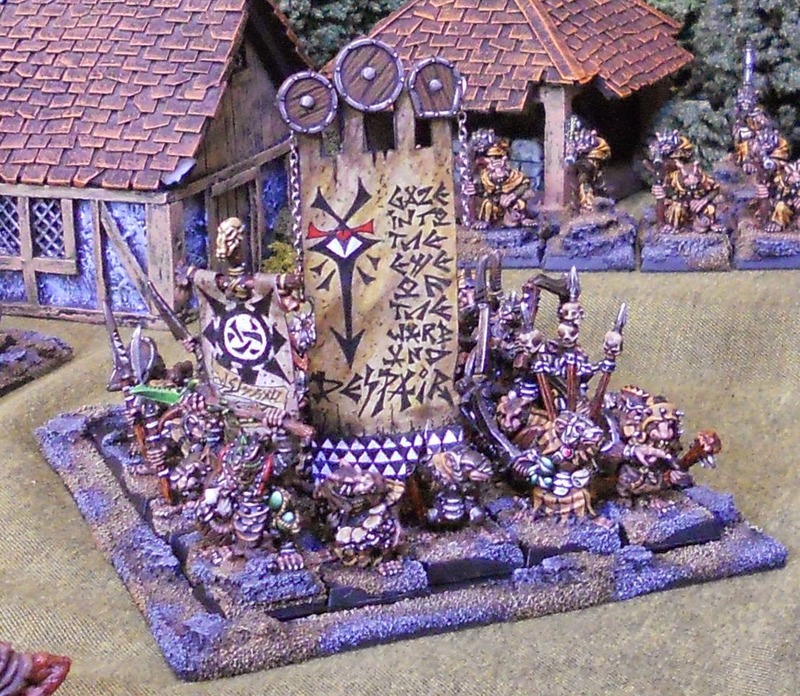 This is something I have always enjoyed, as in my old Orc Army I also painted all banners. I am going to base these ones on the original Jes Goodwin banners and drawings from the Army Book. 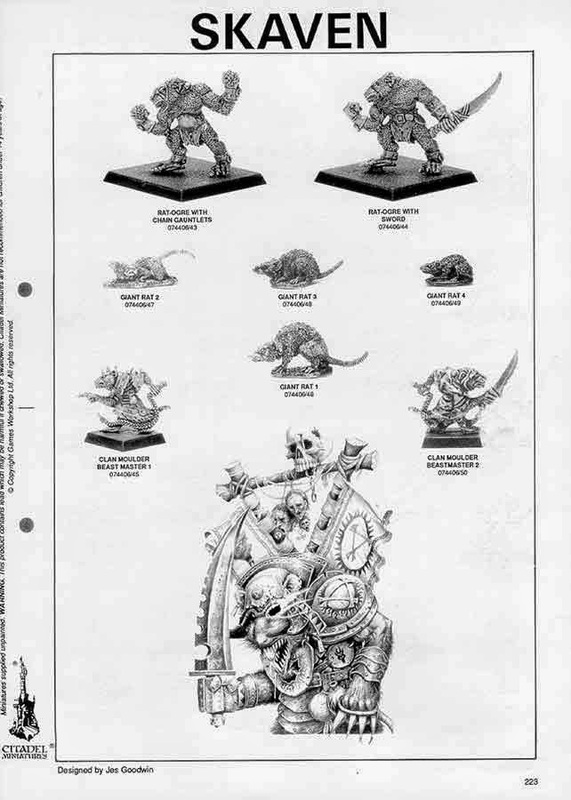 Let's have a look at the miniatures I will try to hunt down. All catalog pictures are taken from Stuff of Legends. There is an excellent miniature database in this post in warseer. Found it thanks to the Oldhammer Community on Facebook. I really like these ones as opposed to the current bulky ones. 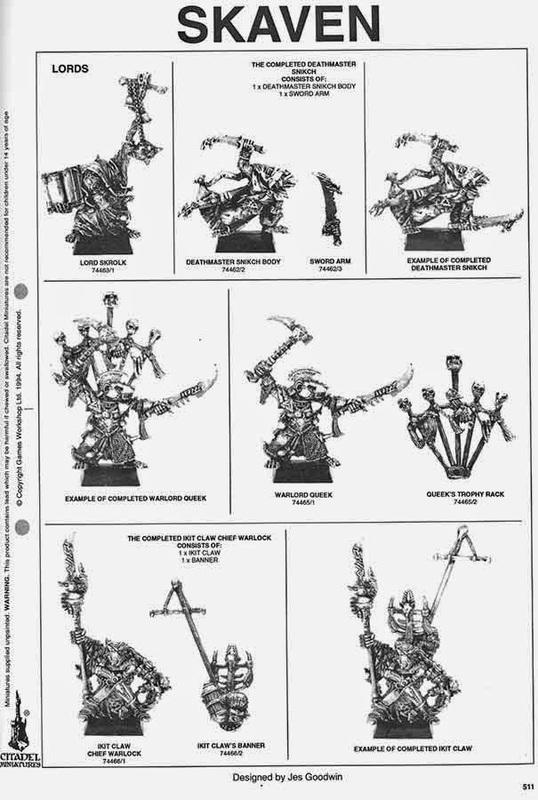 My favourite is the commander with warplock musket, that for some reason seems to be very difficult to find. 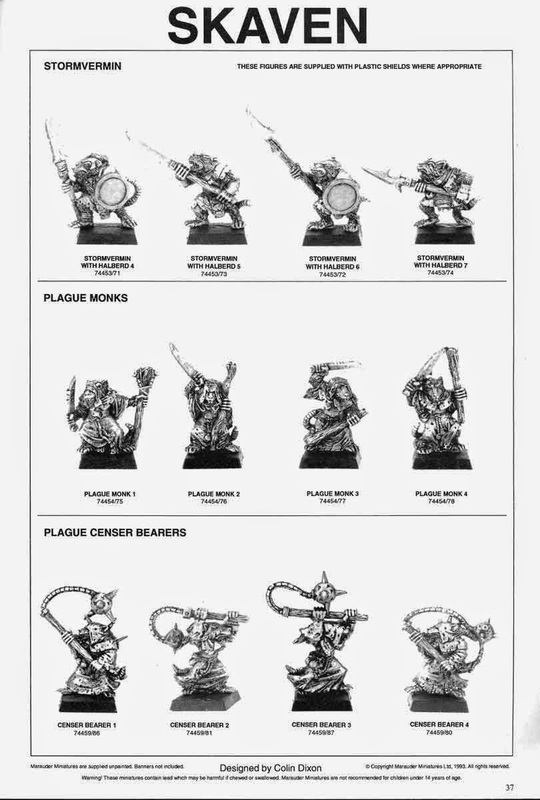 Pay attention to the poisoned wind globbers, plague censer bearers and plague monks, I think they are excellent. I do not plan to collect all, most probably only Skrolk and Snikch. 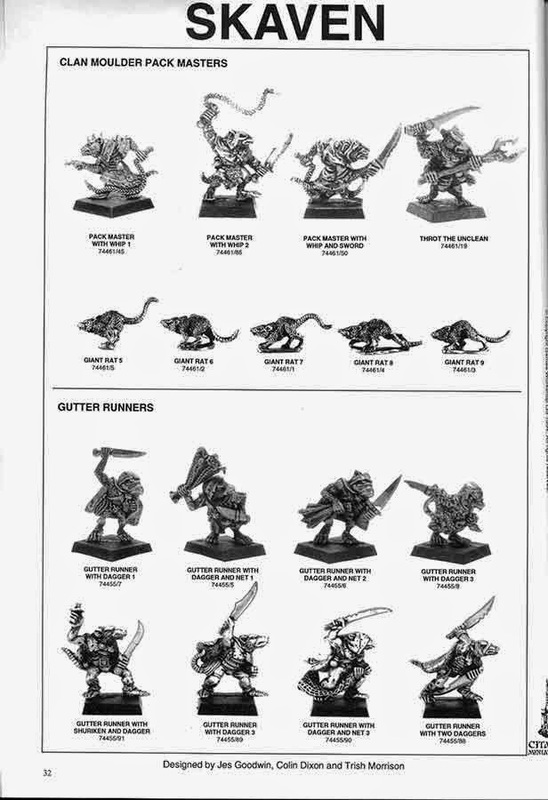 Nico's amazing Skavens that follow the same inspiration from Andy Chambers' army. I guess I am not that original. Just to show how deeply the Andy Chambers army inspired some of these projects, I am going to show a comparison of a unit. I would say that Nico's Skavens are better painted though. 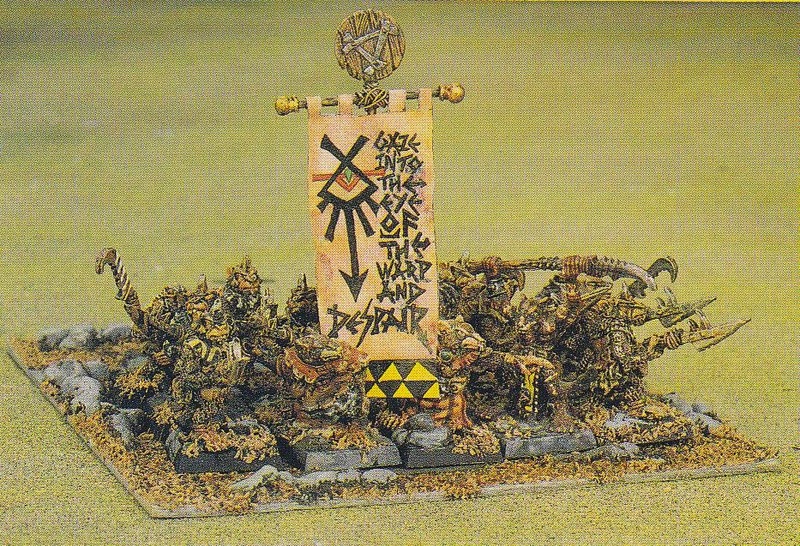 Please let me know if you know of more fellow bloggers who post their Skaven armies as I would like to have a look as well. Thanks! Links added to my list, great to see how others come to the same conclusion about collecting skavens... Great minds think alike!